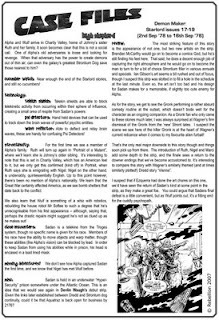 The Quaequam Blog: The Daily Zarjaz! Judge Dredd- Season Finale! 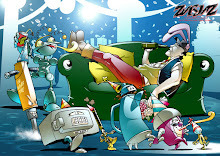 The Daily Zarjaz! Judge Dredd- Season Finale! 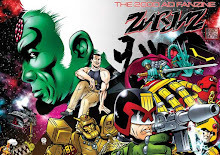 Presenting the final episode of Judge Dredd- Season Finale by Lee Robson and Paul Williams. Join us in the run up to the new issues of Zarjaz & Dogbreath as Ol' stony face takes on yet another bizarre case in Mega-city one. Don't forget to order your copies of Zarjaz & Dogbreath, back issues are always available via the FQP shop. And stay tuned for special news about the new issues later today. 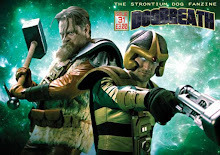 Competition- WIN A Strontium Dog Badge!